Inspired: An Improv Blog Treat Your Self! Like Jennifer Mason did. That’s what Jennifer believes and improv was one of those scary things she took a chance on. A self-identified introvert that deals with anxiety, she decided last year to treat herself and sign up for an improv class for her birthday. Her goal was to get some more bravery in her 49th year. We are so proud of Jennifer and so happy that she is a part of our improv community. 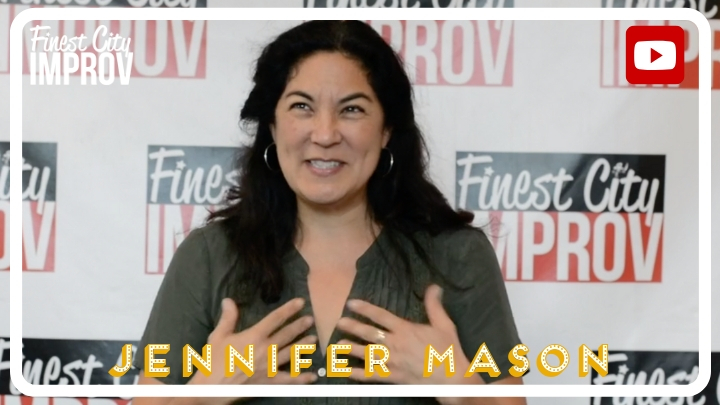 Learn more about Jen’s improv experience and how she uses improv to help herself and others. Watch her student spotlight video! Ready to treat yourself like Jen did? Give improv a try! Sign up for an Introductory class today.